What is something you enjoy as a part of your role at BVG? James: I really enjoy the strategic elements, like coming up with new ideas for our promotions, executing them, and looking at how they performed. One fun example is that we were looking for ways to improve our ads that target people who have stopped playing our games. As soon as we started adding incentives like free items for returning, the click-through rates on the ads doubled. What’s the best thing about working on Worlds products? James: Definitely the people I get to work with; the team is so talented and energetic. Also, of course the fans who are so passionate about our games. It really makes you feel like you’re part of something amazing, that a lot of people genuinely care about. What’s something you learned from working on Worlds products? James: I’ve learned a lot about working on a live service game. That’s the main difference between our games and what I worked on in the past. We release new content every single day, so I’ve learned to be more agile in execution and also to be more thick-skinned – not all players will embrace everything we do. James: Hands-down the YoWorld Piggy Bank promotional video. We basically bought a bunch of piggy banks and destroyed them in slow motion. We had a ton of fun, the fans loved it, and we got over 15,000 views on Facebook. I’m really proud of it. What does it take to be successful in Product Marketing? James: I think it takes someone who is strategic, creative, and able to multitask. They should be willing to try new things and be reflective enough to learn from their mistakes. Knowing and understanding key metrics is very important as well as understanding as much as you can about the players and products. 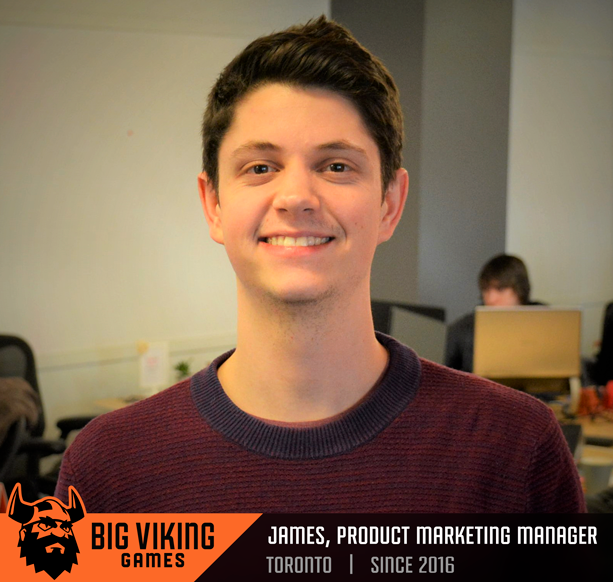 James: It was a very unique opportunity as Big Viking Games had never before had an actual marketing team. I got to start from scratch and make some big, impactful changes. Rewarded video ads were something we had only scratched the surface of and with some key changes it started adding 5% to annual revenue. Email newsletters were alo something that we had to implement from scratch, and in a year we went from 0 to over 70,000 subscribers. Free lunches and the awesome people were also big incentives. What do you find most challenging about your role at Big Viking Games? What do you find the most rewarding? James: It’s most challenging trying our best to make sure all of the fans are happy. Since they’re so passionate, devoted, and diverse, making sure they all enjoy what we offer is quite challenging. 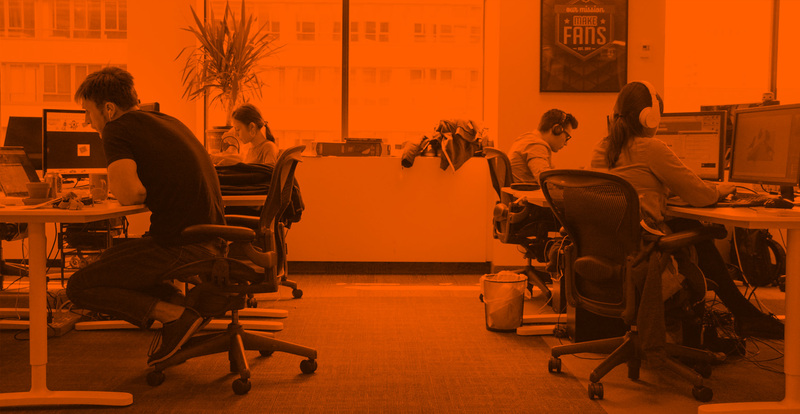 We’re constantly consulting our internal community team, doing surveys, and thinking critically about the impact of our decisions on our fans. However, it is extremely rewarding to see positive impacts in general when we try new things. Now that you’re in this industry, and you spend your days working with games and its fan base, has your opinion shifted about games and their value in people’s lives? James: Yes, in games like YoWorld and Fish World, there is such as sense of community that offers players not only a chance to have fun but also to make new friends and create real, long-lasting relationships. For example, some of our players who met in the game are now married in real life. The creativity of our players is also mind-boggling. It’s such a rewarding feeling seeing some of the houses and fish tanks that our players create. I’m glad we are able to give our players a platform to express themselves creatively and socially.